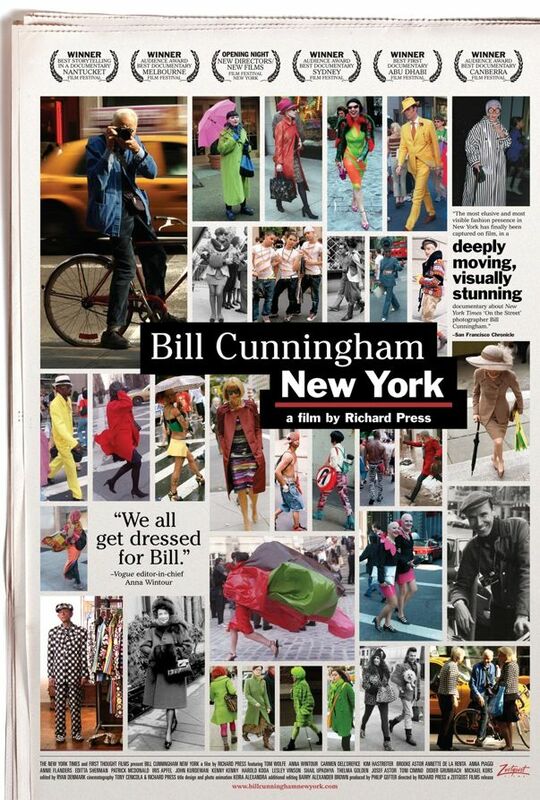 On Tuesday 17 April I will be presenting the Amsterdam premiere of the award-winning documentary on fashion photographer Bill Cunningham at Rialto in Amsterdam. The screening is part of the monthly artist film series ‘Cracking the Frame‘ that I’m currently programming for Rialto. Beautiful art related documentaries to be enjoyed in a laid-back atmosphere on the third Tuesday of each month. Now over 80, this shy man armed with his photo cameras and a bicycle has become a trusted columnist and a familiar face for many New Yorkers, but few are aware of how influential his photographs have been in documenting and helping defying forty years of New York fashion, art and culture. Carefully collected over the years, Cunningham’s enormous body of work is more reliable than any catwalk as an expression of time, place and individual flair. 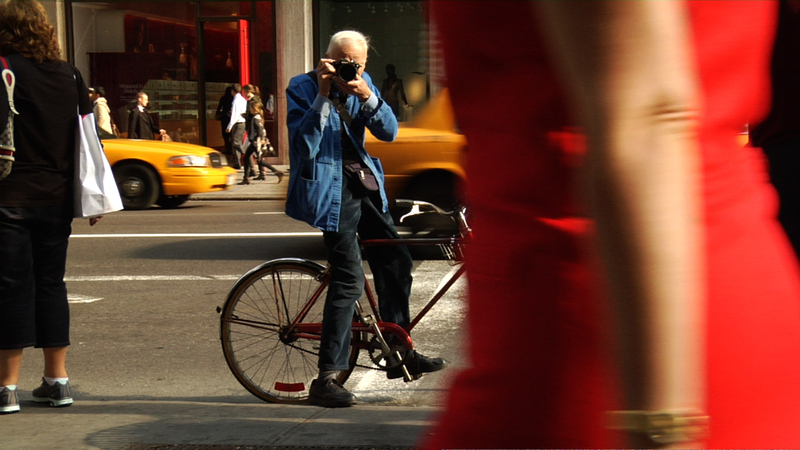 Richard Press’ film is an inspiring and insightful portrait of a man genuinely in love with fashion and photography. A personal and joyful film focused on the work and life of a dedicated artist, his own humanity and the untamed passion for the subject of his gaze. Awarded as ‘Best Documentary’ by the Boston Society of Film Critics. Directors Guild of America’s Outstanding Directorial Achievement in Documentary 2012 nomination. Winner of the Best Documentary Audience Award at Sydney Film Festival 2011. Started in November 2011, this monthly program features an international selection of critically acclaimed art related documentaries and artists’ films. CRACKING THE FRAME focuses on the creative intersection between art and film through cinematic portraits of the life and work of established contemporary artists, filmmakers, writers and global thinkers. Every third Tuesday of the month at Rialto Amsterdam. Grazie del commento. Sí, direi che la definizione di ‘artista’ Bill se la merita proprio.